Listen up, everyone! PayPal just sent out a blanket email to all users located in the United States letting them know that starting next month there are going to be a few policy changes. Founded in 1998 (nearly twenty years ago! 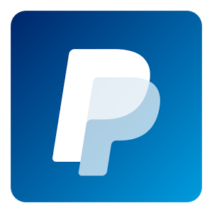 ), PayPal operates a worldwide online payment system based in America. They have long been considered an industry standard for online sellers because they act as a secure third-party platform for transactions between customers and sellers. 1. Adding a faster withdrawal option! We are adding terms for a new faster withdrawal option. If your debit card is eligible to receive faster withdrawals from your PayPal account, you will be provided the option to use it when you transfer money out of your PayPal balance. The transfer will be subject to a $0.25 fee, which will be deducted from the amount of the withdrawal. 2. Sellers can now accept payments from customers using Venmo accounts! The transactions will be subject to Venmo’s purchase protection program (which is similar to PayPal’s purchase protection program). 3. Updating the “Payment Methods Used” section to clarify pre-approved payments. For pre-approved payments, if you have money in your PayPal balance, your PayPal balance will be used first and your preferred payment method will be used for any remaining amount due. 4. PayPal is clarifying their rights when a customer has a negative balance. If you continue using your PayPal account when it has a negative balance, you authorize PayPal to combine the negative balance with any debit or transaction sent from your account when that combination is disclosed to you in advance of initiating the debit or transaction. Again, these changes only apply to U.S. based sellers at this time and will go into effect on July 27th. If you do not agree to the updated terms and policies, PayPal does reserve the right to close your account so make sure you check your email, read through these, and click “agree” so you can keep on selling without interruption.